Here’s an extensive, custom piece recently completed! 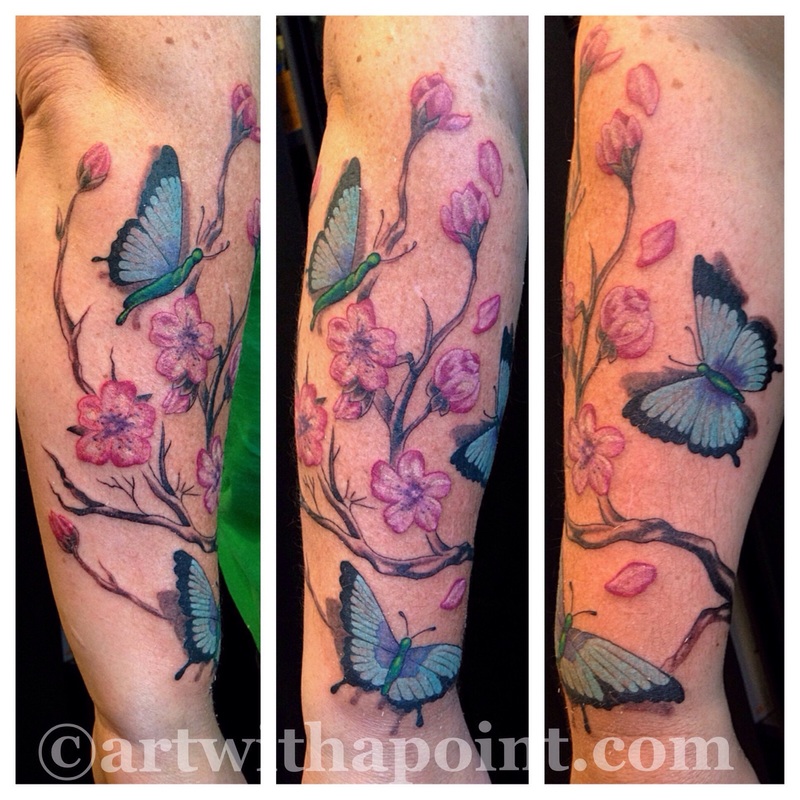 Butterflies add a new spin to the cherry blossom tattoo, enriched by nice textures, shadows and bold color. A nice way to warm up Minneapolis in the middle of winter! Good times! Check out more custom tattoos by Awen! Custom Hamsa Tattoo This Pony Needed Wheels!